At Broadway Ristorante & Pizzeria we dine the old fashioned way, with fresh, delicious food in a neighborhood atmosphere. 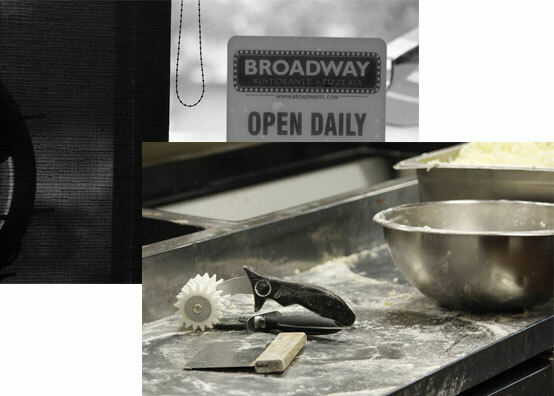 Come enjoy everything you know and love at any of our Broadway Ristorante & Pizzeria locations. We use only the finest ingredients and quality spices in our housemade pasta selections, delicious calzones, scrumptious strombolis, fresh salads, and subs served on Italian bread, Buffalo style wings, and New York Style pizza baked in a brick oven! Why Broadway Ristorante & Pizzeria? Because you deserve the best pizza south of NYC. Because fresh ingiedients and quality tomatoes and cheese are the foundation for our should be world famous pizza. You should choose Broadway because to our family, you’re family! Founded in 1990, Broadway set the standard for epic pizza in Orlando. Now owned and managed by the second generation, Broadway continues the tradition of excellent pizza while adjusting to the wants of our guests. Most of you have come to us for generations and that proves why Broadway! Most restaurants boast fresh, quality items and great service, at Broadway Ristorante & Pizzeria we live it! Open 7 days a week to serve you.